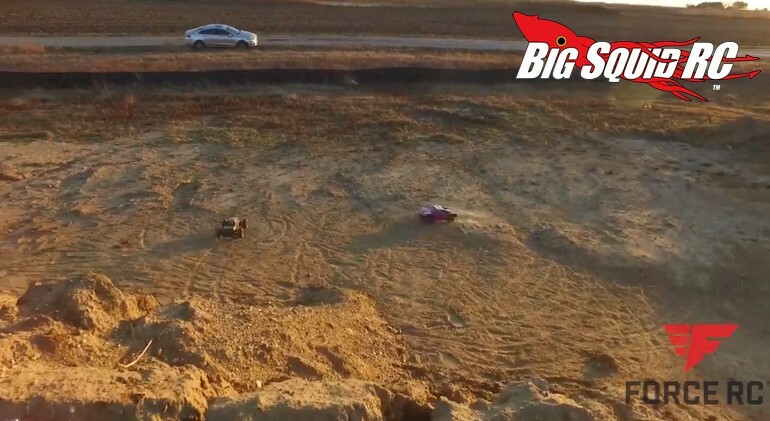 Action Video – Force RC Outbreak and Warhawk « Big Squid RC – RC Car and Truck News, Reviews, Videos, and More! Announced a few weeks ago by Force RC was the Outbreak and Warhawk RTR trucks. Both are entry level bashers that are available exclusively from your local Horizon Hobby dealer. Watch the video below to see both trucks in action. The video gives you a good idea of both truck’s speed, plus how they handle over rough ground. Both trucks look like they are perfect for backyard bashing, the video shows just how well they can handle the harsh off-road environment. To get full details on both the Warhawk and the Outbreak, hit up This Link. You can also Click Right Here to read more of the latest Force RC news on BigSquidRC. Cold and windy day here in Illinois, but we were still able to get out and have a blast with the Force 1/10 Outbreak and Warhawk! Order now and get these great gifts just in time for Christmas, with 2X RC Club Points and Free upgraded shipping until 12/19!